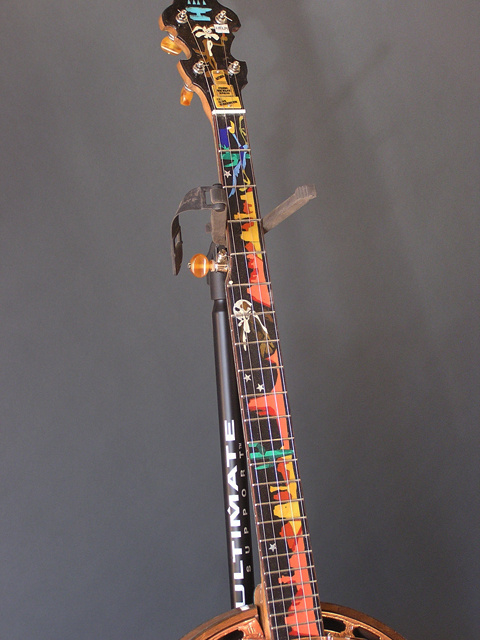 This banjo was comissioned by a residen of Tucson, Arizona. 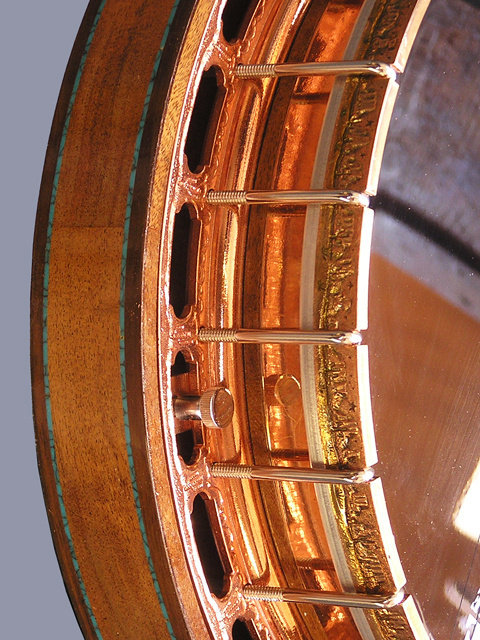 During Arizona's centennial year the Musical instrument Museum (the MIM) became aware of this banjo and requested a copy for their Arizoan display. After the centennial display was over, the MIM purchased my banjo for their permanent collection. 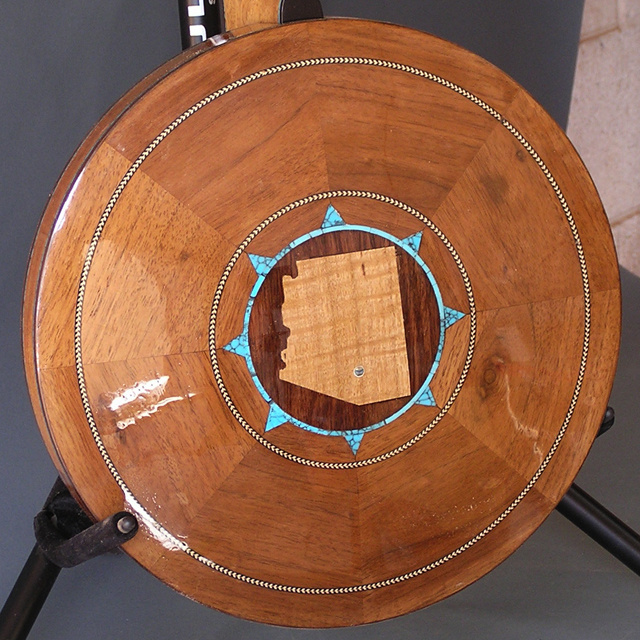 The neck rim and resonator are built of mesquite, a species of wood that grows naturally in the Arizona desert. 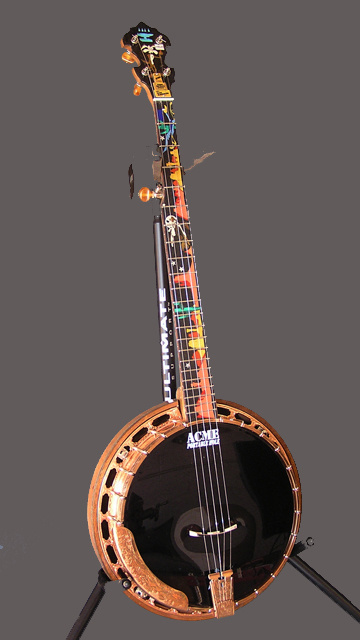 The concept for the Arizona Banjo developed through discussions with Dave and his wife over a couple of months. I met Dave at the Tucson Bluegrass Festival in the Fall of 2010. 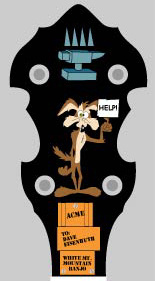 Below is the sketch for the fingerboard inlay. 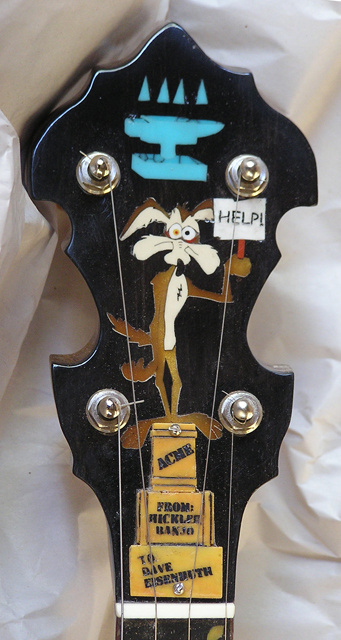 By some mysterious coincidnece ther was an exhibit of Chuck Jones (born in 1912, died in 2002), creator of Wylie Coyote et. al., art at Sky Harbor airport in Phoenix. I admired this exhibit only a few weeks before the project began. I think the man was a true artist. I took bitmaps of his work from the internet and began to draw them in Adobe Illustrator. It was a profound experience to observe absolute economy of his lines. Does this project violate copyright law? Click here. 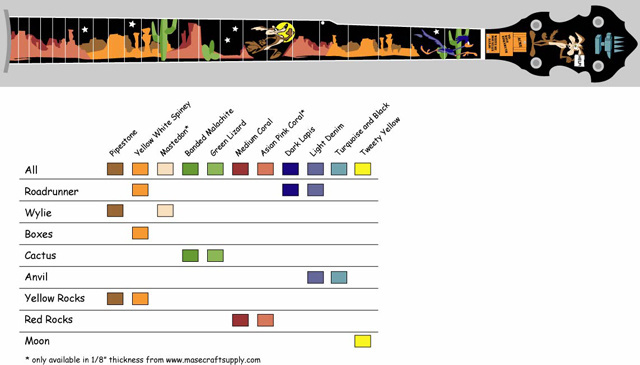 The color chart is to define what materials will represent what colors. The color names are from "recon stone" materials available from Rescue Pearl and Masecraft. Masecraft has more colors, but Rescue Pearl supplies recons stone in thicknesses similar to mother of pearl. 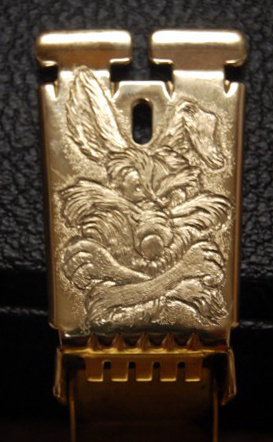 These parts were engraved by Ron (insert last name here). These pictures were taken before plating.